Alpha Kappa Alpha Sorority mourns the passing of Mary Shy Scott, of Atlanta, Ga., on April 15, who served as the Sorority’s 23rd International president from 1990-1994. The theme of her administration was Creative Strategies for Action: Addressing the Crises of the 1990’s. Speaking on behalf of Alpha Kappa Alpha’s 260,000 members worldwide, the Sorority’s International President Carolyn House Stewart, hailed Scott as a pioneer, visionary, civil rights activist and leader whose contributions to the world are unmatched and unparalleled. Stewart said that she served in a variety of leadership positions, including chapter president, and as the 10th South Atlantic Regional Director for the South Atlantic region from 1982- 1986. The South Atlantic Region is the sorority’s largest region, which covers Florida, Georgia and South Carolina. In 1986, she was elected first international vice president, thereby positioning her to become the Sorority’s 23rd international president in 1990. Some of the tremendous strides made under her leadership included addressing creative strategies for action in the areas of education, health, economics, family, arts and the world community. A proponent of education, she leveraged her position as international president to forge a partnership with the Library of Congress in their mutual mission to promote reading. She also introduced the conceptual Ivy AKAdemy where every chapter committed to address the reading needs of African-American children. During her tenure, the Sorority renewed the $15.5 million federal contract to refurbish the AKA Cleveland Job Corps. With the newly-acquired skills taught by a dedicated core of members, thousands of young adults came through its doors saw their lives transformed from being unemployed and unskilled to becoming productive members of the workforce. Mary Shy Scott also ushered in a program to train members to serve as graduate advisors whose purpose is to guide undergraduates. The program remains in place today as a testimony to her vision. With the Sorority growing and expanding, Mary Shy Scott successfully led the effort to add a third floor to the Sorority’s corporate office. This strengthened the Sorority’s operations and helped the Sorority better serve its members and those it serves worldwide. She also led a $1 million capitalization campaign. Mary Shy Scott also assured that the Sorority’s history would be shared with the public when the Alpha Kappa Alpha Archives were officially opened at the Moorland-Spingarn Research Center at Howard University on November 6, 1993. She also received countless honors, accolades and awards for her service, passion and documented successes. Global recognition included the Ouidah ’92 Award for Lifetime Achievement, which was presented to her by President N.D. Soola from the Benin Republic of West Africa. After her tenure ended, she continued to be a motivating presence and beacon of Alpha Kappa Alpha light. She promoted and supported AKA and was a source of inspiration to all she met and influenced. Scott’s influence extended beyond the Sorority to the city of Atlanta. She is an alumnus of Spelman College and was a Class A member of the Human Rights Commission of the Atlanta City Council. 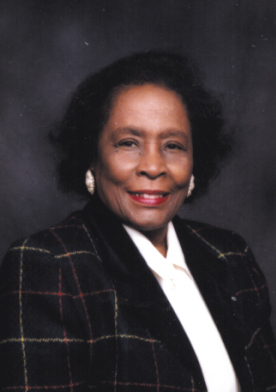 The Dr. Mary Shy Scott papers, 1981-1996, 1999 are held at the Auburn Avenue Research Library. She was an elementary school music specialist whose commitment to education earned her an honorary Doctor of Humane Letters degree from Miles College in Birmingham, Alabama. In her capacity as a motivational speaker, she inspired others. She is survived by her husband of over 60 years, Alfred, Sr., daughter Alfredene Scott Benton, a member of Alpha Kappa Alpha Sorority and two sons, Arthur and Alfred Jr.